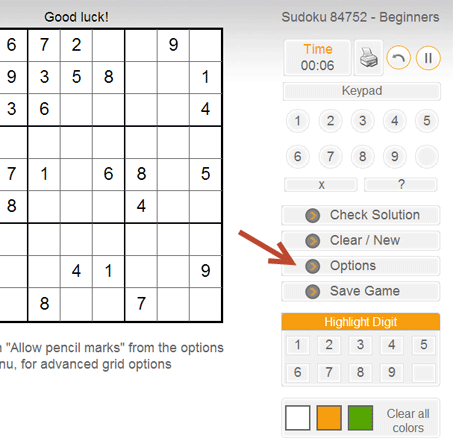 If you want to pick up your Sudoku game to the next level you need to get familiar with pencil marks. As discussed before, it is helpful and sometimes even necessary to keep track of the possible values for a cell. We sometimes do it for more than one cell and we keep the candidates written within the cell itself. These are called Pencil Marks. Let's fill in the pencil marks for R5C5. 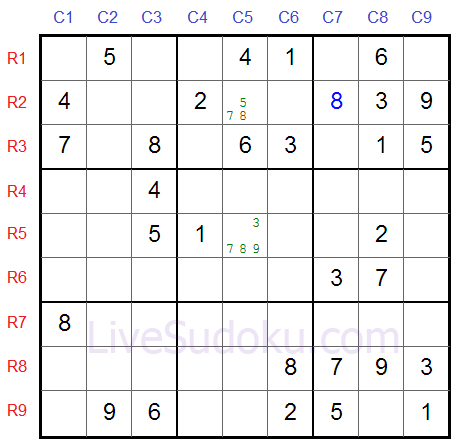 To begin with, it can be any digit between '1' and '9'. This means that R5C5 cannot contain any of these digits. So let's remove them from the pencil marks of R5C5. 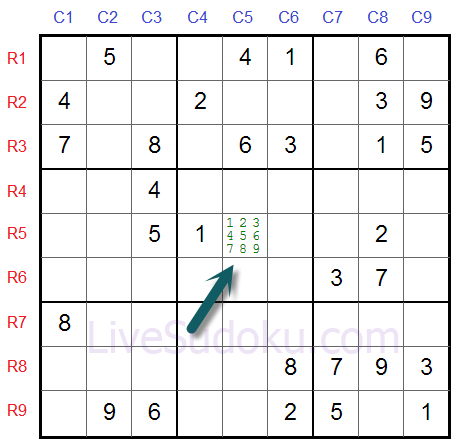 Let's look at another cell - R2C5 marked here. 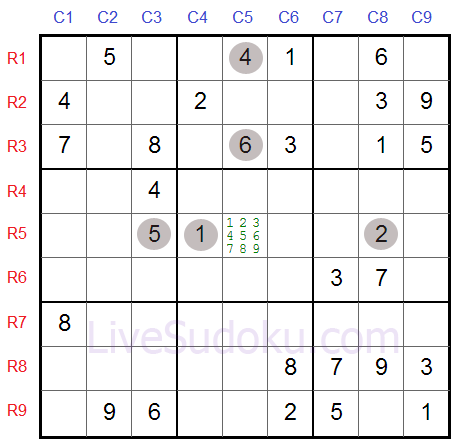 Its buddy cells contain '1', '2', '3', '4', '6' and '9', leaving '5', '8' and '7' as candidate digits to fill in. So here are the pencil marks for both of these cells. If you are using pencil marks, make sure to update them as you play along. 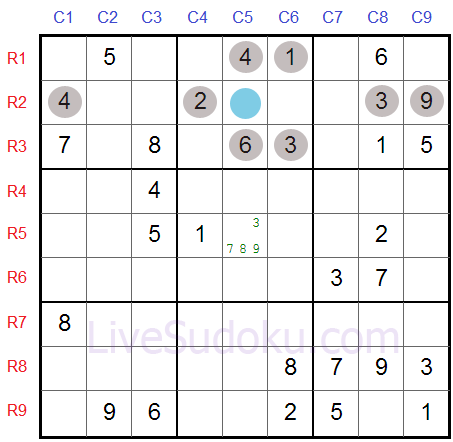 Let's see an example, take a look at R2C7 on the puzzle we just looked at. It's a naked single and must contain the digit '8'. 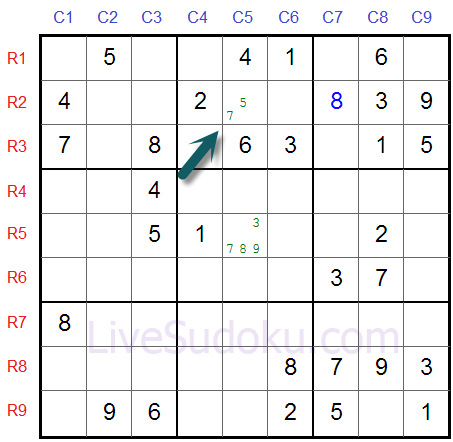 Once we know that R2C7 is an '8', we can remove it from the pencil marks of R2C5. 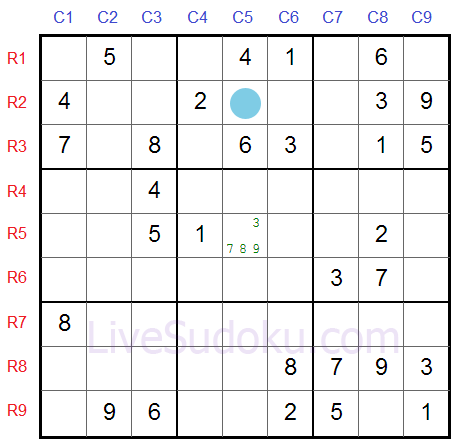 To use pencil marks in LiveSudoku.com you need to turn them on. You only have to do it once and it's very easy. 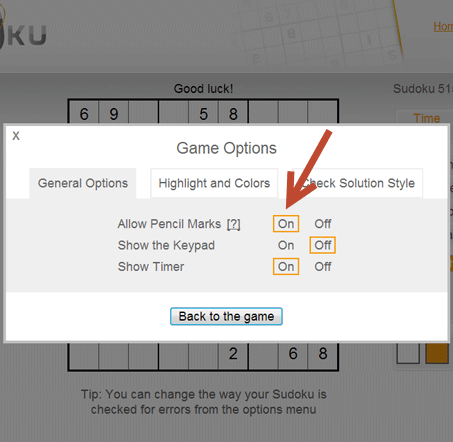 Click the Options menu while playing any puzzle. And then click On near the Allow Pencil Marks option. 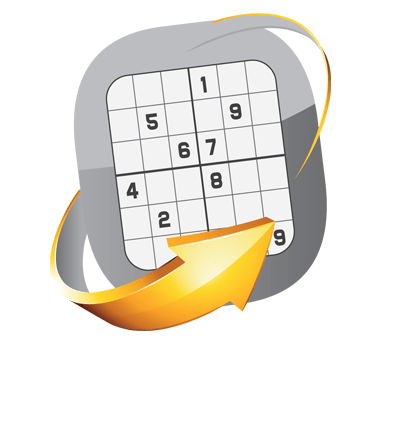 Once the pencil marks are turned on you can place multiple digits in a single cell.